How to pay with a gift card on the MINDBODY App. Gift cards can be redeemed for services with the business you purchased from. 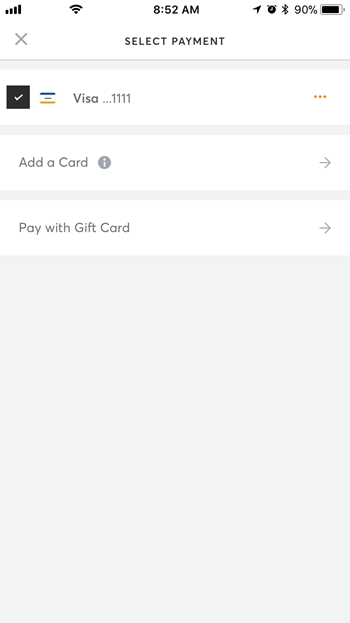 The remaining balance of a gift card is stored in the app under your Profile. Note: In order to redeem a gift card a credit card must be stored in the app. Tap Add a card to enter your credit card into the app. Can I use gift cards on MINDBODY.io? Gift cards are currently only available on the app. Still need help? Visit the MINDBODY App's 24/7 Live Chat for assistance.